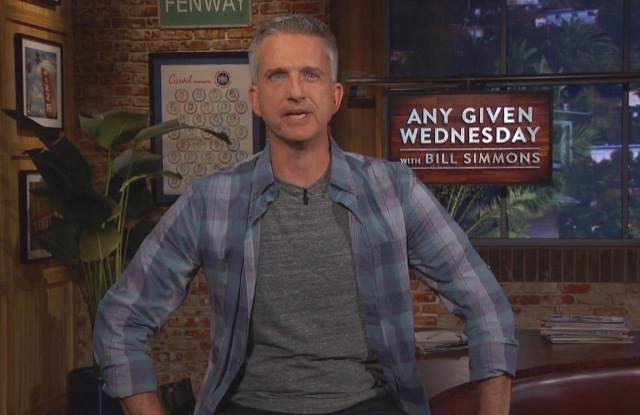 Last time we checked in on Bill Simmons’ new HBO show, Any Given Wednesday, ratings had just risen 39 percent from the first to the second episode. So let’s just real quick see how things have gone since then, and… AHHH, avert your eyes! Yiiiiiikes, that’s not good. It’s never a positive sign when fewer and fewer people give you a shot week-to-week. It’s also not a good sign when you’re getting beaten by some truly mediocre movies intended to fill time in the lead-up to your highly anticipated show. Just for fun, here are the Rotten Tomatoes scores of the four movies that have beaten or nearly matched Any Given Wednesday. Early returns aside, Simmons deserves some slack here, given that he’s starting from scratch on a medium he’s not abundantly comfortable with. HBO gambled that Simmons’ big name and strong persona could differentiate Any Given Wednesday in a saturated sports-talk market. Since that hasn’t happened, the show will have to seek out some sort of niche or gimmick or risk being lost in the shuffle. HBO has invested a lot in Simmons and AGW, so they’re not going to give up on the show no matter what terrible movies it lags behind. Maybe in a couple years, a reimagined Any Given Wednesday will be drawing a million viewers a week, Simmons will be the new Johnny Carson, and we’ll look back and laugh at bumpy start. Oooooor maybe not. But hey you never know, no one watched Breaking Bad at the beginning, either!